Cyprus Chariot offers you low cost car hire. 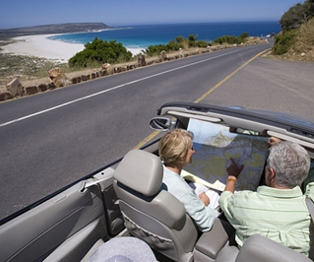 Wherever your flight destination you will need to rent a car in North Cyprus. Cyprus has 3 airgates. Two of them are located in South Cyprus and are called Larnaca and Paphos. Third one is Ercan airport located in North Cyprus. At Chariot Rent A Car, we can deliver cars to Ercan airport but not to Larnaca and Paphos airports. For Ercan airport rent a car please contact us to book your North Cyprus car rental. If you are arrive at Larnaca Airport we can arrange your Larnaca Airport Taxi transfer to Kyrenia. This means, when you land in South Cyprus our transfer vehicle will meet you and take you to your hotel or to your accommodation. Your North Cyprus rent a car can be delivered to you wherever you are staying. If you rent car more than 6 day we offer free delivery to Ercan airport. If coming from Paphos, the cost of private transfer is GBP 110 one way.